The 25 year-old actress will reportedly play the part of Sally Bowles, the character Michelle Williams is currently portraying. Emma Stone is reportedly going to be the next Hollywood star to take her talents to a live stage production. The 25 year-old actress is in talks to make her Broadway debut in ‘Cabaret’ as Michelle Williams’ replacement. If Stone successfully lands this new role, she will be playing in the Roundabout Theatre Company's production of the famous musical as Sally Bowles, the character Williams also took on in her Broadway debut. The man has been arrested and charged. 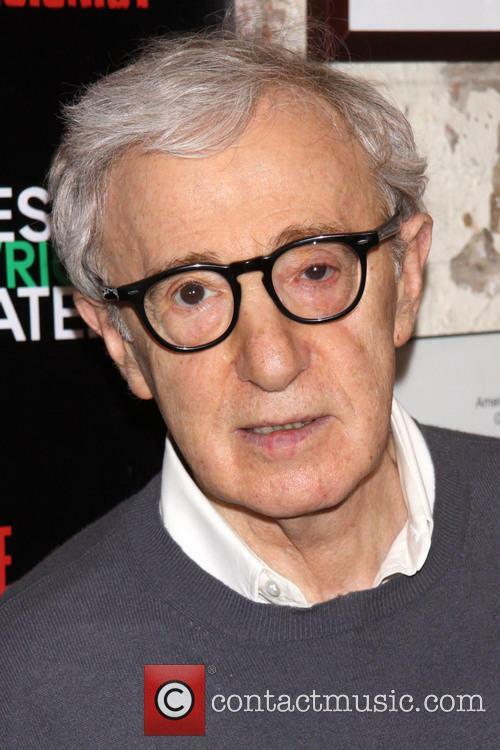 And in random mid week news, a man has been arrested after allegedly causing trouble on the set of Woody Allen’s new movie. Allen is currently filming on location near Brown University in Providence, for an as-of-yet untitled project to be released in 2015. The untitled movie is due out sometime in 2015. Filming will continue as scheduled. Officers of the local police department were called on the scene on Tuesday, August 5, after the suspect hurled a chair at security guards and ran off. 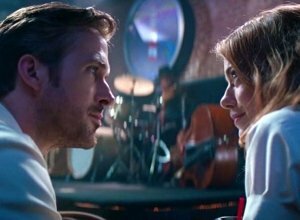 He had previously arrived on the set and started asking “weird questions”about the movie's stars, who include Emma Stone, Joaquin Phoenix and Parker Posey. The incident raises concerns about the security of the actors and everyone involved in the project, however the project will continue as scheduled. 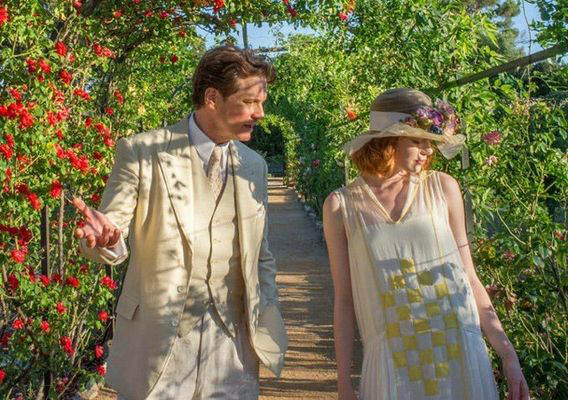 In ‘Magic in the Moonlight’ - the latest comedy from Woody Allen – Colin Firth applied his bumbling British charm to Stanley (alias: Wei Ling Soo), a British stage magician and master illusionist, brought to the French Riviera to showcase his talents in the 1920s. He is charged with unmasking Emma Stone’s Sophie, a so-called spiritualist who is suspected of exploiting a rich family with her faux clairvoyant ways. 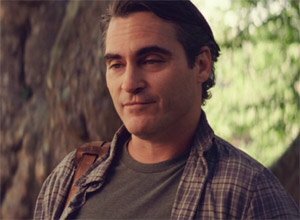 Unfortunately, Allen hasn’t been able to create the same fervent critical buzz that surrounded his latest major project, Blue Jasmine. 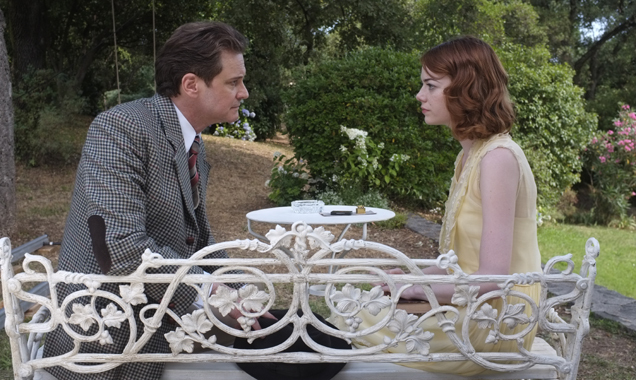 The reviews have been filed, and ‘Magic in the Moonlight’ currently holds a rotten rating of 55% on Rotten Tomatoes. Bad news for fans of Spidey: there will be no new film featuring him until 2018. The Amazing Spider 3 starring Andrew Garfield as the heroic webslinger was set to hit cinemas in 2016, but the title has been pushed back another years so audiences will have to wait a fair amount longer before the follow up to the second film, which came out earlier this year. More: Emma Stone And Andrew Garfield Engaged? : Are Hollywood's Cutest Couple Getting Married? Is Emma Stone Really Being Haunted By Her Ghostly Relatives? It’s quite possible that Emma Stone has it all.She blooming gorgeous with an absolutely beautiful (and surely extremely well-spoken as he’s British) boyfriend. Not only that but she can act and has a very impressive movie catalogue to prove it which includes the hilarious Superbad, the zombie film with a funny twist, Zombieland and the action-packed Amazing Spider-Man series. But even those that seem most perfect on the outside still have ‘skeletons’ in their cupboards. Continue reading: Is Emma Stone Really Being Haunted By Her Ghostly Relatives? Swift's Rhode Island hoe-down boasted an enviable guestlist. Taylor Swift has yet again proven her flair for getting people together after having hosted a star-packed yet sophisticated Independence Day bash at her Rhode Island mansion. Lena Dunham, Emma Stone, Andrew Garfield, Hart of Dixie's Jaime King, indie star Ingrid Michaelson and Gossip Girl actress Jessica Szohr. The country pop star made sure all of her fans knew she was hosting the fashionable guests by tweeting a "Family portrait" of herself with her friends. The shot, which has nearly amassed 500K 'likes' on Instagram, shows Swift with nine of her closest girlfriends, including Girls' Dunham, Szohr, and Stone. All of Taylor's photogenic friends posed demurely for the team photo, apart from Lena Dunham who flashed her middle finger to the camera whilst frowning. The Girls star's fans know her for her rejection of typical Hollywood ideals and her outlandish, offensive pose is sure to make them love her a little more. 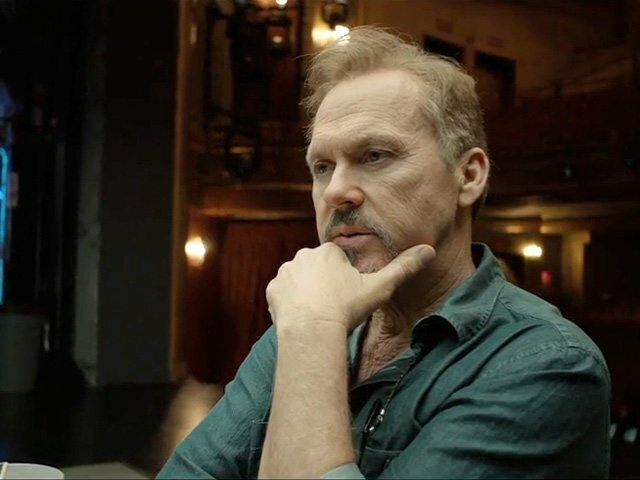 Could 'Birdman' be a 2015 Oscar contender? Michael Keaton is back in action with a new film on the way entitled Birdman, which actually looks as strange as it sounds. 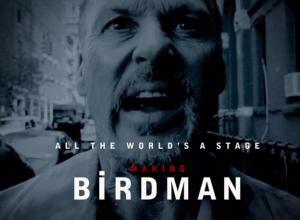 But from the trailer Birdman also looks to be one of the most interesting and exciting movies of the year so far. It’s a black comedy which centers around an actor, once famous for playing a superhero, who now finds himself trying to rebuild his career. The trailer has just been released and while it doesn't give too much away it did leave us with plenty of talking points as we eagerly await its release this October. 1. This movie is crazy! 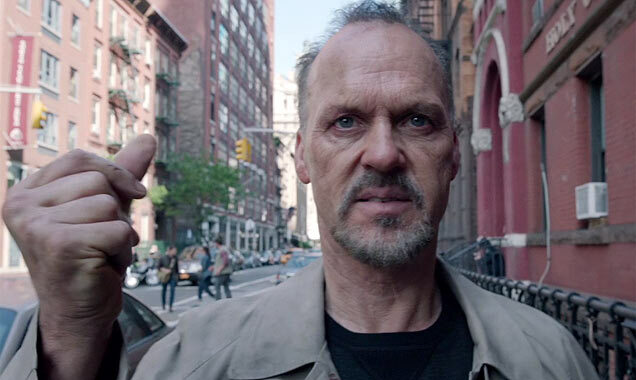 It looks like a return to form for Michael Keaton in "Birdman'. Check out the trailer below. We always had a feeling that Birdman was going to be good. It has a lot going for it. Babel’s Alejandro Gonzalez Inarritu is behind the camera for a start – and the cast is probably one of the most impressive and intriguing line-ups in recent years: Michael Keaton, Edward Norton, Zach Galfianakis, Emma Stone and Naomi Watts. Oh, and then there’s the plot. Birdman tells the story of a washed-up actor (Birdman) who once played an iconic superhero (Yeah, we know) and must overcome his own ego and family troubles as he mounts a Broadway play in a bid to reclaim his past glory. Emma Stone And Andrew Garfield Engaged? : Are Hollywood's Cutest Couple Getting Married? Emma Stone and Andrew Garfield have reportedly been engagement ring shopping in New York City. Are they are aren't they? Reports are surfacing that our favourite Hollywood couple, Emma Stone and Andrew Garfield, are engaged. The pair have been dating for over two years and it’s being reported by Star Magazine that the couple were seen ring shopping in New York City…and it wasn’t just any old ring they were looking for! A source told Star Magazine: “They were looking for a loose emerald-shaped stone. They want to design an engagement ring together.” Nothing has been confirmed yet, but in the meantime it seems as though the couple will be moving in together in Los Angeles. It’s rumoured that they have been looking to buy a $10.5 million home together in the city. That’s just a cool $5.25 million each, so we doubt it will be anything too fancy. The Daily Star reported: “Andrew has been looking for somewhere in LA for ages but he believes he has now found a place that is perfect for them." Continue reading: Emma Stone And Andrew Garfield Engaged? : Are Hollywood's Cutest Couple Getting Married? Will We See Spidey Again Before The Amazing Spider-Man 3 In 2016? We know Sony are keen on stretching the Spider-Man web as thin as it’ll go, but will we really see another Spidey flick in-between now and The Amazing Spider-Man 3 in 2016? It’s all rumor, speculation and conjecture right now, but a report suggests that Andrew Garfield – the star of the franchise as the titular superhero - has been offered a multi-million dollar deal to play Peter Parker and his all-action alter-ego until 2020. What’s more, he's also contracted to appear in movies in 2015 and 2016. Continue reading: Will We See Spidey Again Before The Amazing Spider-Man 3 In 2016? Is It Worth Making 'The Amazing Spider-Man 3'? Is it worth Sony bothering to make a further two 'Amazing Spider-Man' movies when 'The Amazing Spider-Man 2' was panned by the critics? Well, sadly for David Edelstein, as a film critic he probably doesn’t have much choice when it comes to passing on The Amazing Spider-Man 3. Or The Amazing Spider-Man 4, for that matter. Back in December 2013 (before the current installment was released), Sony announced that a further two Amazing Spider-Man films were in the works. The third movie is set to be released in June 2016, and various details have been hinted through a series of easter eggs and teasers. Continue reading: Is It Worth Making 'The Amazing Spider-Man 3'? "Neighbors" ended up with a record debut this weekend. 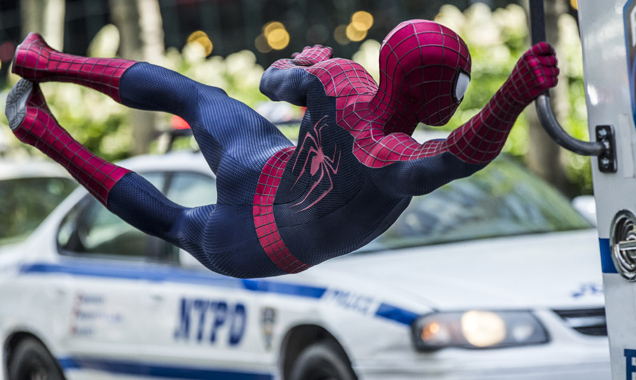 There were big changes in the box office chart this weekend, with Neighbors easily charging past the previous highest earner, The Amazing Spider-Man 2. While Neighbors had one of the highest debuts for an original R-rated comedy with $51,1 million, Spider-Man’s domestic earnings suffered significantly. 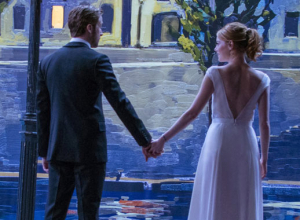 The superhero flick, starring Andrew Garfield and Emma Stone only made aroumd $37,2 million at home over the Friday-Sunday period – an estimated 59% drop, according to Box Office Mojo. While the home figures are disappointing, the movie is making up for it overseas. To date, it's earned $147.9 million, and is on pace to finish between $210 and $220 million. 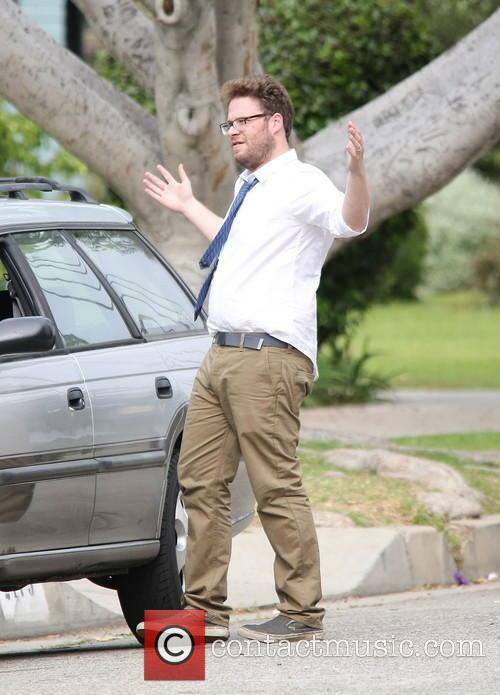 Seth Rogen and Zac Efron's collaboration is making a splash. Neighbors, meanwhile, is following in the proud tradition of R-rated comedies and topped the debuts of hits like The Hangover, The Heat and 21 Jump Street. Seth Rogen in particular should be popping the champagne right about now, since the movie marks the highest grossing debut ever for a live-action Rogen movie ahead of The Green Hornet ($33.5 million). 'The Amazing Spider-Man 2' has performed poorly with the critics - so why have Sony already commissioned two further movies? You would have been forgiven for assuming The Amazing Spider-Man 2 had been a monumental success. It's everywhere. Posters, trailers, merchandise. Sony have gone big with the sequel to Marc Webb's 2012 movie and with Andrew Garfield, Emma Stone, Jamie Foxx and Paul Giamatti amongst the cast, you can bet your life this one was big, big, budget. But then there's the reviews. The Amazing Spider-Man 2 ranks way, way lower than previous Spidey movies and with 55% on Rotten Tomatoes, is still 8% lower than the second lowest ranked movie - Sam Raimi's 2007 movie Spider-Man 3. Next comes The Amazing Spider-Man, which introduced Garfield as the webbed hero and nabbed 73% from critics. Raimi's original movie Spider-Man scored 89%, though the superb sequel landed a stunning 93% in 2004 with the unrivalled Alfred Molina as villain Dr Octavius. Andrew Garfield and Emma Stone continue to avoid confirming they are indeed a couple. Spider-man stars Andrew Garfield and Emma Stone have been dating for nearly three years and have worked to keep their relationship private. So they've been struggling lately to dodge questions while out on promotion duties for the film's release. The best thing they can do about it is turn the questions into a joke. At last month's London premiere, Garfield went all cagey. "Who's my girlfriend?" he said when a journalist asked. "You're making an assumption about my personal life, and my personal life is not public property." All he would admit was that, yes, "we're acting together". A record breaker this isn't, but it should still make Sony a sizeable profit. Despite heavy promotion, The Amazing-Spider Man 2’s box office outlook going into the weekend isn’t too impressive. The film opens in 4000 theaters this weekend, and while the film has a good enough chance of coming on or near the top of the chart, it’s not likely to match the earlier success of Captain America: The Winter Soldier. The Amazing Spider-Man 2 - It's not perfect, but it's good enough, say critics. The 2012 Sony reboot made a respectable $262 million and although it didn’t match the viral success of the Toby McGuire era, it still set up nicely for the new franchise. This time around, Andrew Jackson’s Peter Parker faces a whole merry band of villains, which reviewers say hurts the story somewhat. But despite generally ambivalent reviews, Spider-Man remains a recognizable enough character to draw in the crowds. Emma Stone may be our new favourite actress. Why, you ask? We'll tell you. We’re just going to go right ahead and say this, we may love Emma Stone as much as we love Jennifer Lawrence! Quite a claim, but we think we can back it up. The Amazing Spider-Man 2 actress gets more loveable each time she makes an appearance, she can do no wrong in our eyes. Her lip syncing stint on Jimmy Fallon the other night just totally sealed the deal. Syncing to Blue Traveler’s Hook and DJ Khaled’s All I do is Win, Emma had us in stitches. Even Jimmy found it hard to contain himself, having to really pull it together to perform his second song. 'The Amazing Spider-Man 2' stars Emma Stone and Paul Giamatti made their entrances on the red carpet at the New York premiere of the movie. The actors play Spider-Man's love interest Gwen Stacy and his nemesis The Rhino, respectively. Emma certainly stood out in a floor-skimming, white, Grecian gown. 'The Amazing Spider-Man 2' Gets Thumbs-Up: Are You Ready USA? The film isn't perfect, but there's a lot to love about this sequel. It must be pretty frustrating for American fans of the Spider-Man franchise who are left drumming their fingers on the table waiting to be the last country to experience this Marvel superhero sequel. With only two days to go, the excitement towards Marc Webb's epic action movie is palpable and it will all be worth it - if you listen to what most critics are saying. In All, 'The Amazing Spider-Man 2' Has Gone Down Well With Critics. A jam-packed movie sees Peter Parker (Adnrew Garfield), AKA Spidey, battle a vicious wave of new foes, including Jamie Foxx's super-charged villain Electro and Dane DeHaan's wicked Green Goblin. However, young Peter has a tricky balancing act to do, making sure that his Aunt May (Sally Field) is kept in the dark about his powerful alter-ego and that his relationship girlfriend Gwen Stacy (Emma Stone) is maintained despite the relentless onslaught of baddies. 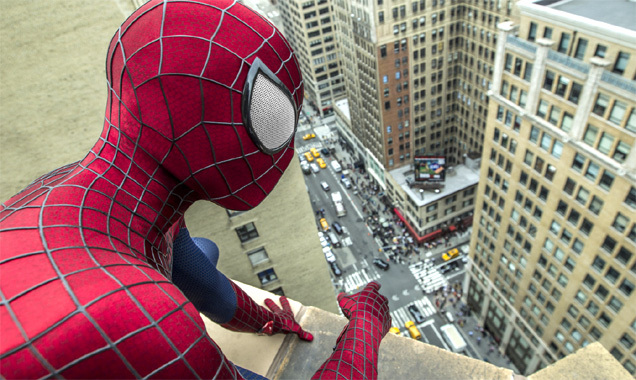 Continue reading: 'The Amazing Spider-Man 2' Gets Thumbs-Up: Are You Ready USA? The 25 year-old actress easily beat the chat-show host when going head-to-head in a hilarious segment on 'The Tonight Show'. Emma Stone is already known as a phenomenal actress, but she does have other talents. On Monday (April 28th), Stone went head-to-head against the chat show host in the hilarious segment where each individual had to mime a song of their choice. Spider-Man Is Jewish. Because Andrew Garfield Says So. Spider-Man is Jewish, according to Andrew Garfield. He's The Amazing Spider-Man, and he's very much Jewish - this according to the man that plays the superhero in the latest franchise, Andrew Garfield. 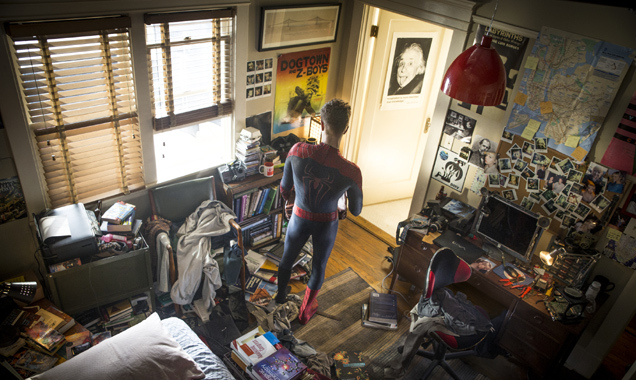 The British-American actor, who was brought up Jewish, suggests that Spidey's neuroses are a sure-fire sign that the character is culturally Jewish. "Spider-man is neurotic. Peter Parker is not a simple dude. He can't just switch off," Garfield told Time Out. "He never feels like he's doing enough. And Peter suffers from self-doubt. He ums and ahs about his future because he's neurotic. He's Jewish. It's a defining feature." Whether or not Spider-Man is of Jewish religion has been the subject of feverish internet speculation for years, but it seems Garfield, 30,has already made up his mind. Continue reading: Spider-Man Is Jewish. Because Andrew Garfield Says So. 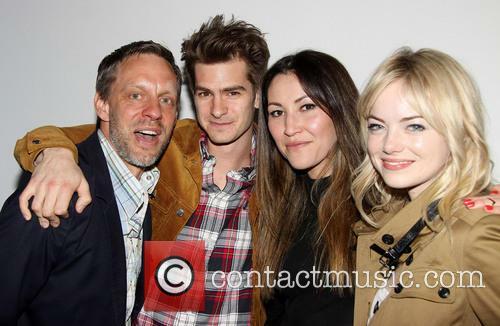 Andrew Garfield, Emma Stone, Jamie Foxx, Dane DeHaan and director Marc Webb were all in London to walk the red carpet at the world premiere of The Amazing Spider-man 2 on Thursday. The film opens next week in Britain, and in America in May. Browse through our photos from the World Premiere of The Amazing Spiderman 2 held at the Odeon Leicester Square. Over in Los Angeles, Kevin Costner, Jennifer Garner, Chadwick Boseman, Ellen Burstyn and Frank Langella turned up for the premiere of the American football drama Draft Day. And in New York, it was Colin Firth and Jeremy Irvine who appeared at the premiere of their new movie The Railway Man. Both films open this weekend across America. Look through our photos from the premiere of Summit Entertainment's 'Draft Day' at the Regency Village Theatre, Los Angeles. Just How Good Will 'The Amazing Spider-Man 2' Be? Reviews are beginning to crop up on the internet for 'The Amazing Spider-Man 2'. 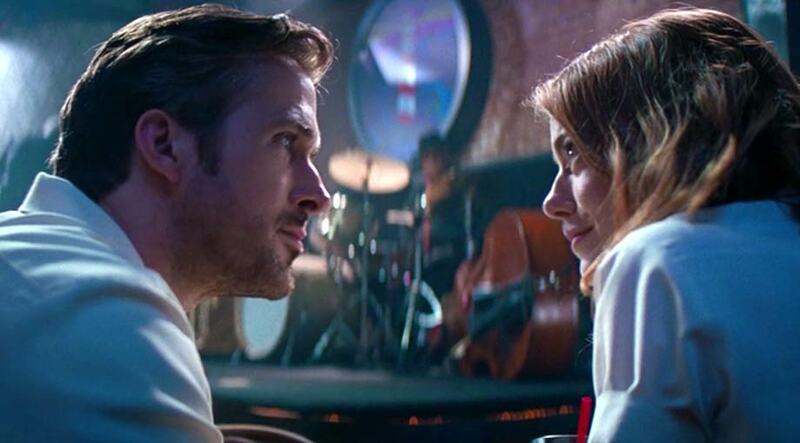 What's the initial consensus and what can we expect when the film is finally released in May? We still have about three weeks to wait until The Amazing Spider-Man 2 finally hits the big screen but we’re already bursting with anticipation. The photos and trailers that have been gradually trickling through have really managed to whet our appetites! We predict that this one is going to the best of all the spider-man movies that have been released over the past 12 years or so (sorry Tobey! ), if only because Dane DeHaan’s green goblin looks absolutely freaking terrifying! The chemistry between Garfield and Stone is always palpable when they’re in a scene together as well, it’s part of what gives the franchise its magic. Although there’s still a while to wait, a few reviews have started to circulate the web (get it?! 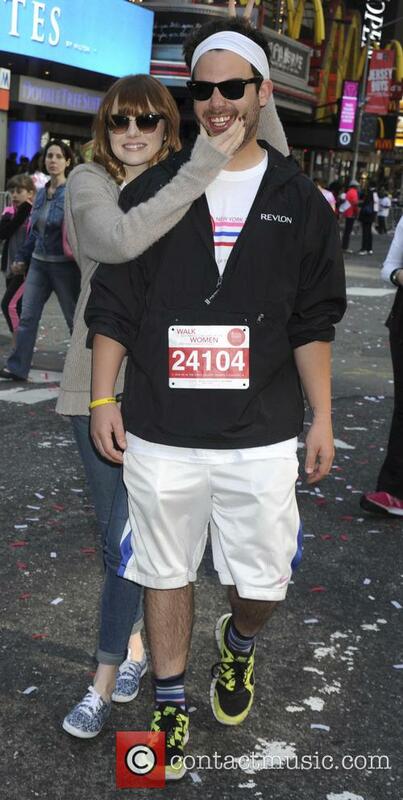 ), we thought we’d gather them all up and see what they have to say. We’ll try and put a good spin on it! We’re just firing out the spidey puns left, right and center today. 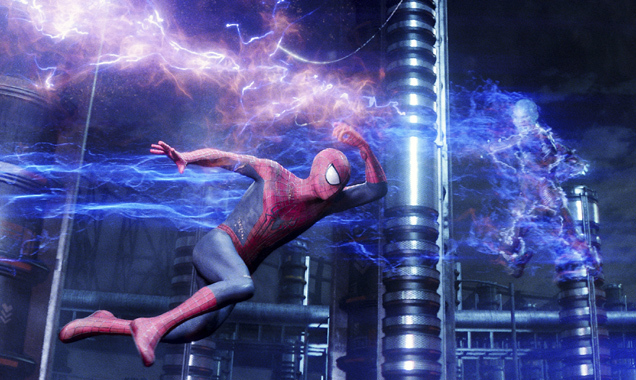 Continue reading: Just How Good Will 'The Amazing Spider-Man 2' Be? The movie's over-abundance of villains is made up for with on-screen chemistry and savvy direction. The Amazing-Spider Man 2 is out in the UK on April 16, more than two weeks ahead of its US premiere. However, thanks to the magic of press screenings, the reviews for it have already made their way online – most of them positive. Jamie Foxx's character seems to be a major selling point of the movie. 'The Amazing Spiderman 2' will not only see the return of Spidey, Gwen Stacy and the Green Goblin but will introduce new characters set for their own spin-off film: The Sinister Six. The Amazing Spiderman 2 is set to be released on May 2nd in the US and April 18th in the UK, with the release date mere weeks away rumors are flying surrounding the plot and the possibility of further expanding the Marvel comic universe. 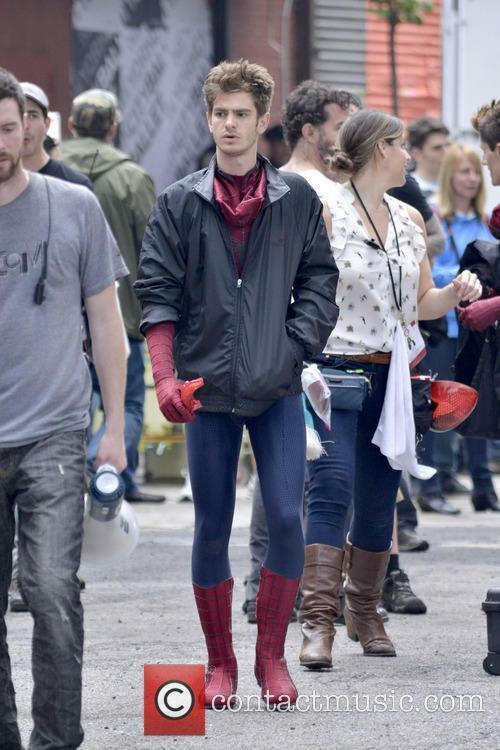 Andrew Garfield in costume on the New York set of The Amazing Spiderman 2. Read more Spiderman news on Contactmusic. This spider loves water! Garfield wasn't feeling the pressure of his upcoming release as he surfed down under. Andrew Garfield and Emma Stone have been living it up under an Australian sun recently as the Amazing Spider-Man co-stars and real-life couple headed down under for a taste of life in Sydney. The duo weren't just visiting for fun though: they had busy work to do promoting their new film, the release of which lies only weeks away. Andrew Garfield & Emma Stone Pose In Front Of The Sydney Opera House. Touching down in Australia is an important checkpoint for the film as it will be one of the first countries to catch a glimpse of the eagerly-anticipated new movie when it is released next month. However, Andrew took a break from the heavy press work by scooting on down to the famous Bondi Beach and sharing his surfing skills with some very delighted young children. Andrew Garfield seems to have nailed Spidey's sense of humour in The Amazing Spider-Man 2 trailer, but where does the trailer go wrong? The latest trailer for The Amazing Spider-Man 2 has been released and it certainly doesn’t disappoint. The opening shot of Andrew Garfield’s Spider-Man free-falling through New York is the visual equivalent of a roller coaster, thrilling and putting you on the edge of your seat for the rest of the trailer. Andrew Garfield reprises his role as the web-slinging city-sprawling Spider-Man in The Amazing-Spider Man 2, which hits cinemas on April 18. In these new clips, we get a glimpse of both Electro’s explosive power, but of Garfield’s comic acting, which compliments the action nicely. Hype for this film is big. With Jamie Foxx looking amazing as Electro and Paul Giamatti looking pretty crazy as Rhino, comic book fans can’t wait to get their eyes on the second Amazing instalment, especially after the first fared so well with the critics. Of course, Sony Pictures will care more about the box office – and it didn’t fair too badly their either. The trailer for Amazing Spider-Man 2 gives us pleanty to look forward to and reveals more about the upcoming movie. At nearly four minutes long, the latest trailer for Amazing Spider-Man 2 packed in as much action as the Superbowl when the full length version finally debuted on Sunday. The clip has given us some answers along with more questions, plenty of gasps and even a few laughs as we prepared for the latest Spider-Man instalment. So here’s what we learnt from the Amazing Spider-Man 2 trailer. What does Peter Parker love about being Spider-Man? Everything. Maybe he’s speaking too soon, but while sitting, looking out on New York we hear Peter Parker say, "you know what it is I love about being Spider-Man? Everything.” Whilst job satisfaction is usually a good thing you cant help but worry about what’s to come for our geeky hero. Superheroes get the worst groupies. It doesn't take that long for Max Dillion’s wish to be more like his hero to come true, but not in the way he'd of hoped. The birth of Electro is revealed as we see Foxx’s character falling into a pool of water brimming with electric eels. He then takes his frustration out on a crowded Times Square and comes face to face with his former hero and now nemesis, Spider-Man. The 'Blue Jasmine' director has hit back at claims he sexually abused his adoptive daughter. Woody Allen has responded to the claims of sexual abuse made by his daughter Dylan Farrow in an open letter published by the New York Times. In the letter, Dylan speaks out publically for the first time regarding the accusations that Allen abused his adoptive daughter. The claims first surfaced in 1993 when the filmmaker and his then-girlfriend Mia Farrow were splitting up. 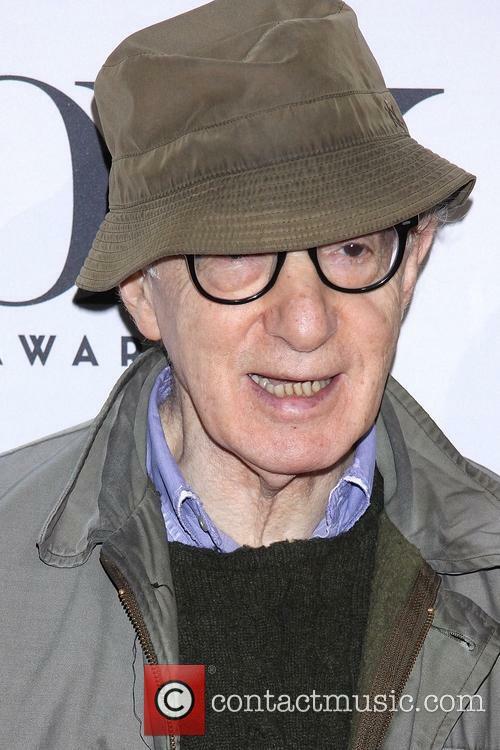 Woody Allen Has Apparently Branded Dylan's Claims "Untrue And Disgraceful." "What's your favorite Woody Allen movie? Before you answer, you should know: when I was seven years old, Woody Allen took me by the hand and led me into a dim, closet-like attic on the second floor of our house," writes Dylan. "He told me to lay on my stomach and play with my brother's electric train set. Then he sexually assaulted me." A brand new, extended trailer for upcoming superhero action movie The Amazing Spider-Man 2 has been released after Sunday's Super Bowl caught the first official trailer. Entitled Enemies Unite, the clip show Peter Parker, who is played by Andrew Garfield, taking on some of his most determined foes yet as his alter-ego Spider-Man. An 'Amazing Spider-Man 2' Trailer Has Teased The New Wave Of Villains. Jamie Foxx's turn as the super-charged villain Electro is the movie's main talking point and his transition from Oscorp employee Max Dillon to a powerful supervillain with the skills to control electricity features as the new trailer's key scene. "His greatest battle begins" - Peter Parker takes on Jamie Foxx's terrifying Electro in the newly-released clip. A new teaser trailer has been released for upcoming super hero sequel The Amazing Spider-Man 2 ahead of its official screening at Sunday's Super Bowl. The visually stunning new clip shows Andrew Garfield's Spider-Man battling some of his toughest enemies yet in "his greatest battle," courtesy of OsCorp. 'The Amazing Spider-Man 2' Promises Peter Parker's "Greatest Battle" Yet. Jamie Foxx's lightning-fast Electro is the stuff of nightmares as he electrocutes Times Square in one battle scene whilst the huge, armoured Rhino is equally formidable. The new movie will also see Peter Parker's friend Harry Osborn (Dane DeHaan) turn against him as he takes on the role of the wicked and unstoppable Green Goblin. On the face of it, females topping the list looks like progression, but is it a manifestation of a male dominated field? Emma Stone sits proudly atop the Forbes list of best value Hollywood stars with a return of $80 per $1 invested in her. Mila Kunis, Jennifer Lawrence and Natalie Portman behind her in a list dominated by young female actors. But are women only dominating this list due to inequality in Hollywood? Stone appeared in The Amazing Spider-Man, which was the biggest reason for her topping the list. The superhero film earned $750m, but it was Stone’s comparatively low wage for the film that garnered the lucrative ratio. If she’d been on par with some of the male actors in the film, that stat woudn’t have been so ‘attractive’. 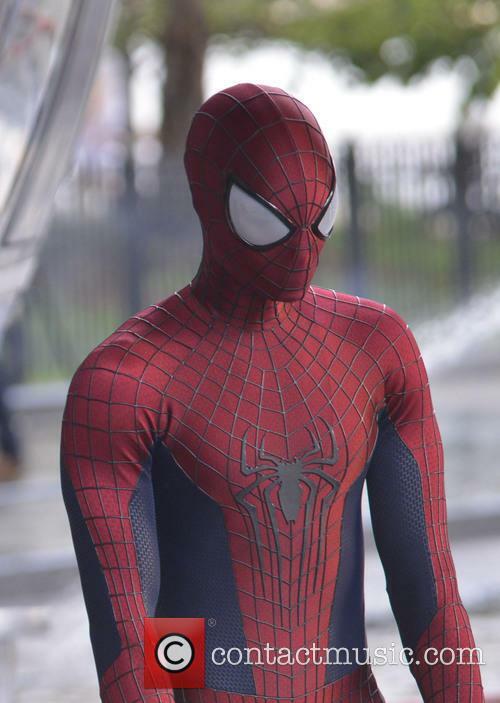 Check out the action-packed Amazing Spider-Man 2 trailer below, followed by a ton of picture. Finally, after months of teasers and clips; on set photos and interviews, the first official Spider-Man 2 trailer is here, giving us an extended look at the action. Andrew Garfield will be taking on Jamie Foxx as Electro, Paul Giamatti as the Rhino and The Green Goblin in the highly anticipated sequel. "Every day I wake up knowing, that the more people I try to save, the more enemies I will make," says Garfield in the trailer. "And it's just a matter of time, before I face those with more power, than I can overcome," he adds. The Amazing Spider-Man 2 will be released in cinemas in the spring of 2014, and up to now we've hardly seen any sneak peaks from behind the scenes of the movie, that's until now of course. Footage from the first trailer for the film has made it's way online, taken from a sneaky Comic-Con goer who managed to film the whole thing on his phone (and judging by the quality of the video, he was either sat all the way at the back of the convention room, or has a lousy camera). Angelina Jolie is the top of the Forbes highest earning actresses list. Jolie has not been seen in a big-budget movie for three years so her position is slightly surprising. Also in the top five are: Jennifer Lawrence, Kristen Stewart, Jennifer Aniston and Emma Stone. Angelina Jolie returns to the top of the Forbes highest paid actress list after a three year break since her last big-budget movie. Angelina Jolie at the London premiere of World War Z. That's not to suggest Jolie has been lazing about, quite the contrary, she has written and directed her first film The Land of Blood and Honey; opted for a double mastectomy following the discovery she carries the BRCA1 gene and wrote a New York Times article on her operation. Could Spider-Man be gay? Perhaps, says Andrew Garfield. Andrew Garfield has progressive ideas for Spiderman. Earlier this month, the British-American star mused on the idea of Spidey turning gay, "Why can't we discover that Peter is exploring his sexuality? It's hardly even groundbreaking!" he said, in conversation with Entertainment Weekly. The comic-book characters certainly need to move in fresh directions, whether it be time, place, or something more specific to the characters, such as gender, race or sexual orientation. The Avengers moved forward a little, the Dark Knight franchise featured giant strides for Batman, and - to some extent - The Wolverine pushed things on with its Japanese setting. This week at San Diego Comic-Con, Garfield revisited his ideas though assured the crowd that Spiderman will not be turning gay anytime soon. Continue reading: Andrew Garfield On A Gay Spiderman: "That's Just Not Going To Work"
Marvel & Columbia have released a teaser trailer for the new Amazing Spider-Man 2 movie for Comic-Con 2013 showing Jamie Foxx as new villain Electro. A chilling teaser clip has been released ahead of the release of Spider-Man 2 showing new villain Electro played by Jamie Foxx. Comic-Con fans got the first glimpse of the scary new baddie this weekend, in a clip that shows Electro AKA Max Dillon attached to the machine that bestows him with his unique electrical super powers. We see wires, we see pipes, we hear a menacingly rasping voice taking to an unknown off-screen character "I can feel it in the walls," he says. "I feel it in my veins. No matter what you do doc, you can't contain it. "You wanna know how powerful I am? Well I would love to. I'm Electro!" Not exactly original for any action movie bad guy but still, chills. 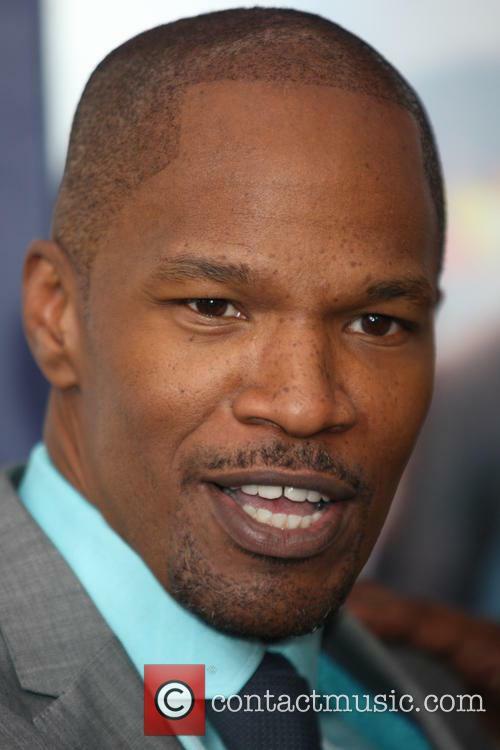 Jamie Foxx Making His Spider-Man Debut As Electro. At a first - and very brief glance - Jamie Foxx's Electro does look like an electrocuted version The Da Vinci Code's self-flagellating sect member Silas and his portrayal of the originally green-suited, yellow-masked zappmeister is somewhat darker than Marvel Comics probably would have intended. However, the Django Unchained actor's version of Electro is one that fits more closely with Marvel's Ultimate Universe, where the character's powers are a product of bioengineering, rather than a freak accident. Spiderman may be just under a year away – for those that care to do the maths, that’s ages – but that hasn’t stopped the buzz. And rarely is that buzz stronger (buzzier) than it is when a new bit of footage is released. Comic-Con 2013 provided us with just that. “I can feel it in the walls. I feel it in my veins,” warns the latest Spider-Man villain in the latest piece of footage revealed. “No matter what you do doc, you can’t contain it. You want to know how powerful I am? Well I want to know too. I’m Electro,” he says. The third and fourth installments to the franchise will be released on June 10, 2016, and May 4, 2018 respectively. Andrew Garfield has committed himself to the Amazing Spider-Man movie franchise by agreeing to appear in a further two films with Sony Pictures. The production company announced the franchise's expansion into four movies in a statement release on Monday (June 17), although no other information was released about the film, so feel free to let your imagination run wild. Garfield is going to go one further than Tobey Maguire did in his turn as Spiderman and the actor is already filming the finishing touches for the second Amazing Spider-Man film, which is due out in May next year. The studio also announced that the films will be released in relatively quick succession, just as the second film is swiftly wrapping up with filming. The studio announced that the third and fourth instalments of the film will be release on June 10, 2016, and May 4, 2018 respectively. Before we can begin to think about the third and fourth films, let take the time to relish what we have in store when The Amazing Spider-Man 2 is released. Garfield's Spidey has all kinds of trouble to deal with this time round, with his personal problems going to heck when Peter Parker's other love interest, Mary Jane Watson (Shailene Woodley) shows up, much to the displeasure of Emma Stone's Gwen Stacy. If his personal life wasn't hectic enough, there's two baddies around this time for him to battle, with Paul Giamatti playing a gangster-fied version of Rhino and Jamie Foxx set to send sparks flying as Electro. The fittingly named Marc Webb will return to direct too. 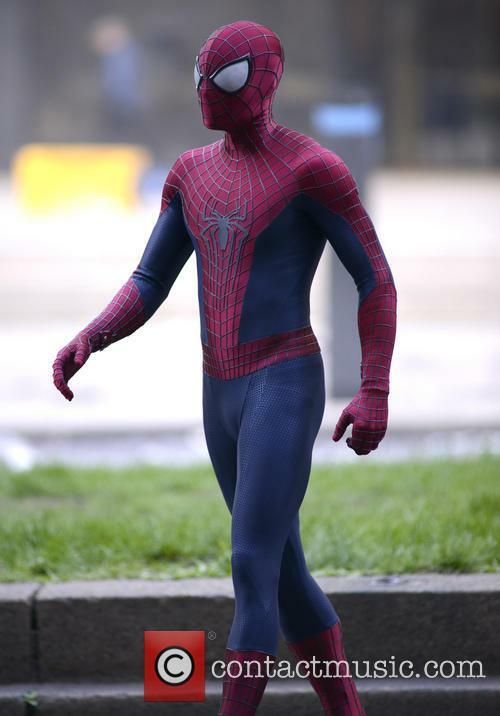 Andrew Garfield films action-packed New York scene for 'The Amazing Spider Man 2'. 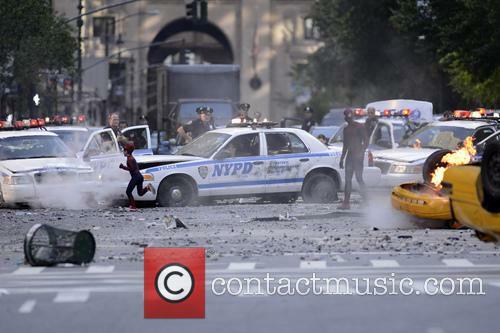 'The Amazing Spider Man 2' filming continued to get underway in New York on Sunday (May 26th 2013) leaving behind it a trail of destruction on the City streets. A particularly devastating scene was spotted being filmed, with a mass of crashed, overturned and ablaze vehicles littering the set. Andrew Garfield was in his Spider Man garb as he addressed onlookers from atop a smashed up car through a loudspeaker. He is also seen approaching a young boy in a copycat outfit who, after what looks like a pep talk with Peter Parker's alter-ego, subsequently flees the riotous scene. The scene is the latest of on set sneak peeks that have slowly been accumulating after snaps emerged of 'Django Unchained' star Jamie Foxx showing off his new look as the blue villain Electro and Paul Giamatti from 'Cinderella Man' making a fierce appearance as equally evil baddie The Rhino. Meanwhile, Emma Stone has revealed a MAJOR spoiler about her own character (though we won't reveal it for those who haven't read the prophetic comics).